I tried to find the picture I had taken of my laptop but since I don't have them all in files I can find I couldn't. So just think of a Laptop. That's what this blog is about. The other day, Monday I believe, I was replying to Kim's email and all of a sudden the keys wouldn't work. Couldn't make anything. Darn, I was doing so good on this thing. I called my neighbor, who is more Savoy about computer's and also had gotten a new Dell laptop before Christmas. She came over and tried everything she knew, but hate;s Vista. Doesn't really know it as she ordered hers special with XP and Vista. I couldn't find my booklet that came with it. Did later. I called my older bro.. in Oregon as he also has Dell and Vista and a laptop. His instructions was to shut it down unplug and wait till morning maybe it would all come back. Nope didn't work. So yesterday I called Best Buy where I had looked at them and they had said that they were a registered help station for DELL Ask for the GEEK and told him what happened. He'd never heard of that,. Said I should bring it in. Well with a storm going through, Schools closed snow coming down and turning to sleet, I wasn't going anywhere for a day or two. It is still sleeting this morning ans there is a good crust on the snow. So this morning I did what my neighbor said I should do. Call Dell. Got a nice young lady who worked me through a complete restart and then I could type. It was funny, I could read all my mail , look at and read blogs but couldn't comment. Everything but make these keys work. Has anyone out there had this happen to them?I know now that I can also do that restart. They tell you how in the booklet. But she also gave me her phone number and extension so If I have other problems I can call her. So the lesson is :: CALL the Help People. I also got three more Snowflake blocks made so got something done besides tending to Hubby. Have only had my new car out once. Sure glad to be able to talk to people now. Thanks for visiting. Sounds like maybe your motherboard is going out...not good. We used to have a Dell laptop and they have excellent service. Out to them and right back fixed in less than a week. Problem is that I think it's that good because they often need to fix them, they go out so often!! If it's still having troubles call them again! This machine is wonderful when it works but really annoying and frustrating when it doesn't. I can remember when I first started working on the computer I would end up in some crazy place on it and my husband would say " What did you do" and of course I would answer - I don't know " It always seemed like a dumb question because I can guarantee you that if I knew I sure wouldn't have ended up there in the first place- I still find myself in crazy places but it doesn't cause me the same frustration as it once did. My snowflake and tree patterns came in the mail this week. It will be awhile before I make it - it has to take a turn in the line of things that I am making. I did get the other disappearing 9 patch quilt quilted this week. Now if I could only find the bindings for the quilts- I was sure that I made them all but if I don't find them soon then I am just going to make some more and use the bindings for other quilts. computers are a lot of fun........and a lot of headaches when they dont work. congrats on your perserverance to get to the cause and fix the problem. wouldnt know what I would do if you were not in blogland. I read you daily to see whats going on in your neck of the woods. Got a cup of tea and decided to check in - does DH watch the Super Bowl now with his surgery done? 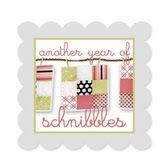 Are you going to be able to quilt a while during it or are you a football fan? Sending a HUG from a sunny afternoon in California. 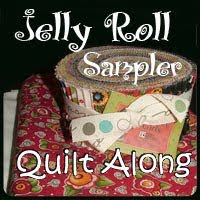 Eileen, Just found your blog, and am in awe, not only of all your beautiful quilts, but of you as well. You are an inspiration, with your love and care for your husband and family, and all the sewing and quilting you get done. Have a wonderful day! I had someone tell me recently that her laptop keys were getting stuck. I'm not sure what brand laptop she had though. I think the easy fix is to buy another keyboard and hook it up to the laptop and use it instead. She chose to get herself another laptop.